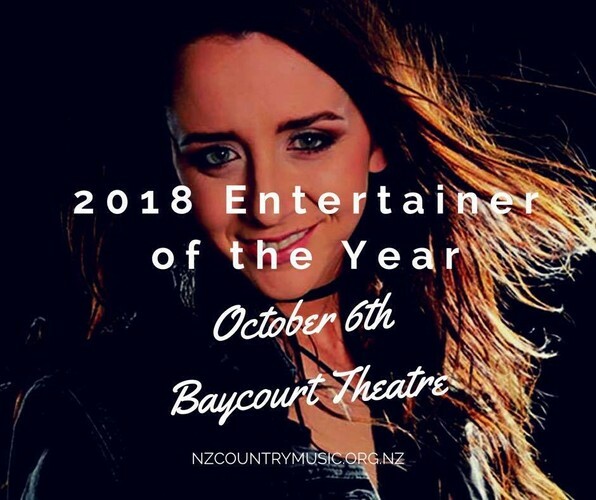 The 39th annual Entertainer of the Year Awards Show will be held October 6th 2018 at the beautiful Baycourt Theatre, Tauranga. Kaylee Bell and her band will headline the show with overall finalists from multiple national awards competing for the prestigious title of "Entertainer of the Year". Up for grabs are some amazing prize packages like International trips, studio time to record and much, much more. Get your tickets now and come and watch the biggest night in NZ Country Music for 2018!